Back in January we launched a special, 12 month long partnership with five very talented bloggers dubbed the Earthborn #claymates. Throughout 2019, our five fabulous bloggers will be using Earthborn paints on a variety of decorating projects in their homes. They’ll be showing how beautiful and unique our eco-friendly paints are, and hopefully inspire you with your decorating and home renovation plans too! We thought it was time to share a little more about each blogger, their totally unique decorating style, and their 2019 interiors projects. 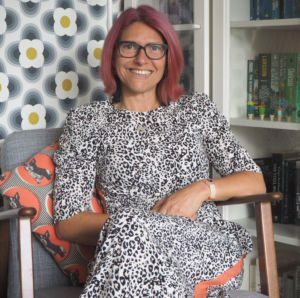 In this first post, we’re delving into the quirky and eclectic home of Soozi Danson of The Patterned Palace blog. Soozi’s home is a riot of exuberant colour and pattern. It’s clear to see her love for colour, but Soozi always manages to keep the look cohesive and pulled together. 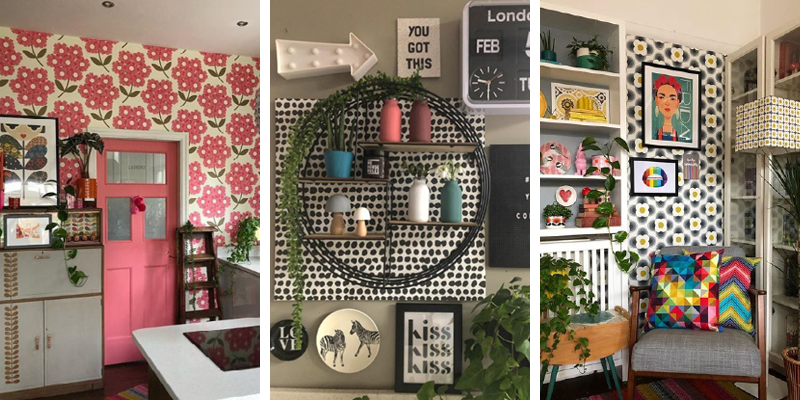 If you love colour and pattern but worry it will be too much, take a look at Soozi’s home for inspiration on how to get it just right! “When Earthborn contacted me last year and asked if I would be interested in getting involved with their upcoming #claymates campaign, without hesitation, I jumped at the chance. As a self professed lover of both pattern & colour I’m pretty fearless when using both in my interior designs. I’m always blown away by how the introduction of a little pattern and a lick of paint on one or more surfaces can completely transform the look & feel of any room. The projects I have planned this year are no exception. I have big plans for the smallest room, the downstairs loo, which has a mainly monochrome theme with some colour being introduced on surfaces other than the walls! 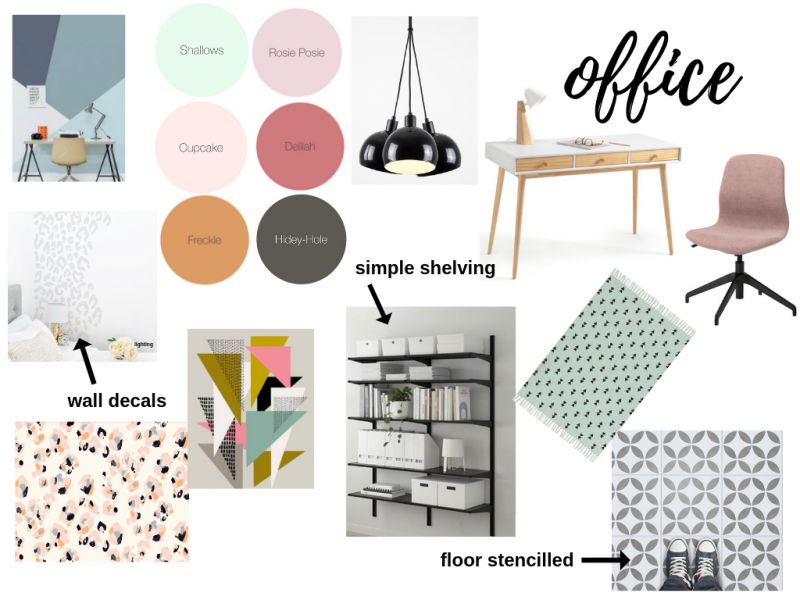 Soozi has some exciting plans for her home and started her decorating straight away, by creating moodboards and ideas before diving straight in with the paint bush. Soozi said: “The largest space I will be tackling is my master bedroom suite which also includes a dressing area and an en-suite bathroom. In here I’m hoping to use an unexpected colour palette mixing up some deep colours with pretty pastel shades and a splash of warm metallics. I plan to undertake the majority of the work myself, only calling in the experts when even a YouTube ‘how to’ video fails to cut the mustard!! To see the full reveal of Soozi’s home office makeover, and the beautiful array of colours used (including our new shade Delilah, along with Freckle, Hidey-Hole & Shallows to name just a few!) head to her blog here. PLUS in April Soozi will be hosting an exciting competition over on Instagram! To be in with a chance of winning some Earthborn paint (and kick start your own decorating project) make sure you’re following Soozi on Instagram. Be sure to check back here for more updates on the rest of the Earthborn #claymates, and don’t forget to follow Earthborn’s own Instagram account where we will share more in the coming weeks!